Flaunt your style with this TomatoRed plain kurti with some prints to add the zest. This piece has a chinese ban collar neck patterned three quarter sleeves along with a straight hem . 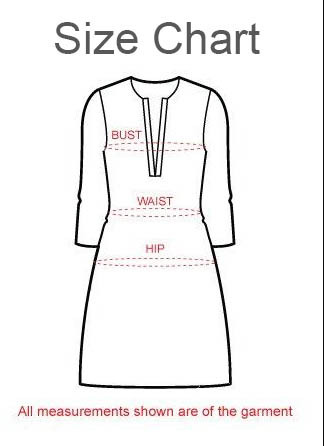 Base of the tunic has same pattern and side slits to elevate your style quotient. Team it with a pair of matching leggings and high heels to complete your stylish look.